Gubernatorial candidate, Shri Thanedar, recently received some negative publicity regarding lab animals (beagles and monkeys) used at his former research facility. The company filed for bankruptcy and the animals were abandoned, locked in the building with no care. They were saved by former lab workers who broke into the building to provide food and water, and rescue groups who found placements in homes and sanctuaries. The candidate claimed he was an animal lover and blamed the bank that foreclosed on the property. Political candidates face much public scrutiny to help voters understand their ability to lead. Though very occasionally an inflammatory story like this makes headlines (as when a presidential candidate told a “funny” story about a terrified family dog riding 12 hours in a crate on top of the car), concern for animal welfare is entirely absent from political debates, interviews, and official platforms. As a result, animals have been left out in the cold. While, basic legal protections do exist for dogs and cats and endangered species, each year literally billions of wildlife and animals used in labs, commercial breeding facilities, and factory farms face needless suffering and wanton killing because of negligent public policy. With a little more attention, Michigan could be a much more humane state. Action could easily be taken on issues with broad public support such as raising standards for factory farms, puppy mills, and animal shelters and prohibiting dogs from living on chains, use of cruel steel-jawed leg holds traps, and senseless wildlife killing contests. Instead our state elected officials failed to pass a bill to stop the use of gas chambers in animal shelters; want to protect puppy mill operations; believe that breeding large exotic animals is a good idea; want to roll back minimal farm animal protections; and support hunting treasured state animals like wolves and sandhill cranes. 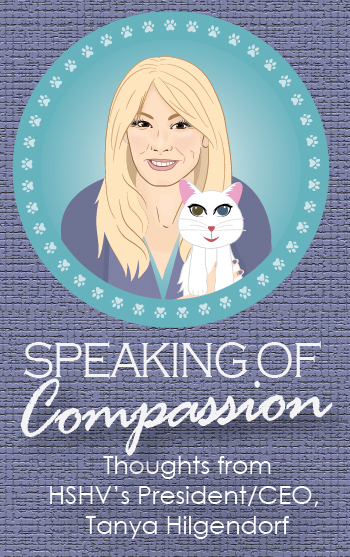 Unfortunately compassion for animals is a topic often avoided for fear of making a candidate look weak. Historically patriarchal systems cast kindness as the domain of women and being so was believed to make them too irrational and weak to lead. Does the candidate care about the plight of others regardless of their ability to vote? Does the candidate have the wisdom to understand the interconnectedness and shared fate of humans and animals? Does the candidate have the courage and integrity needed to challenge powerful special interests, like those financially invested in routine cruelty? We also now know, in direct contrast to old beliefs, that individuals with compassion and empathy are the most effective leaders, whether of a company or a country. So, in essence, if we look for leaders willing to treat animals with compassion, everyone wins. But it is not enough for someone to call him or herself an animal lover or to include a family pet in a photo op. People who commit flagrant acts of cruelty as part of their business plan or just for fun call themselves animal lovers. Trophy hunters who shoot endangered lions for kicks may love their house cats. A guy who kidnaps bear cubs to perform in his roadside zoo will tell you he loves those bears. Corporate executives who torture bunnies to test cosmetics probably love their family dogs. We need to look a little deeper. I am not suggesting candidates must be vegan boot-stomping animal rights activists. But including animals in our political conversations will help us improve badly needed protections for the most legally abused among us, and better understand a candidate’s character. I don’t know the truth behind the story about the abandonment of lab animals. But I do think it is high time we start asking political candidates their positions on pressing animal welfare topics, for the sake of animals and ourselves.